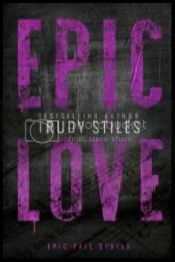 Epic Love is the new release from Trudy Stiles. It is the third book in the Epic Fail -series, but can be read as a stand alone. Heath’s and Noelle’s story has the all aspects of life. The friendship of childhood turning into teenage crush, into the first kiss and the first love. I loved how Stiles described the growth and deepening of their relationship, making all the small details count. There’s a tragedy to the story, a dark secret that casts its shadow on many people throughout their lives. The tragedy prevents Heath from moving on in his life, it’s like the past has always its claws on him. In quick summary, Epic Love is a story about first love, the last love, innocence lost and forgiveness. It is a story about never giving up on those you love. When all is forgoten you find new ways to rescue me. And old diary plays an important role in the story and I really liked how Trudy Stiles weaves the past and the present together in the book. It gives the characters depth. And the diary leads the story to a restaurant, where the turtle cheesecake is eaten. Anything to make her happy. The quote I’ve chosen is in my opinion one of the most beautiful ones written in this book. I just love it. “I believe in moonlight,” he says, his eyes searching mine. “I believe in fireflies.” He leans forward and kisses me softly. “I believe in fairies,” he says against my lips. Chech out the song in the Jukebox for Epic Love. 1. Preheat the oven to 160 ‘C. Crush the oreo cookies (inside a plastic bag with a mallet or with a food processor). Melt the butter and mix it with the cookie crush. 2. Take a spring form (diameter 20 cm), cover the bottom with a baking paper and press the cookiecrush onto it. 3. Take a pan. 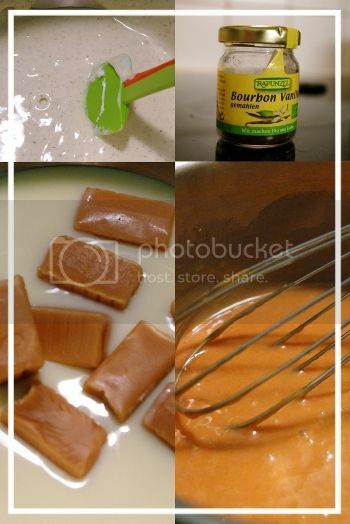 Pour into it 150 g condensed milk and add 100 g fudge candies. Heat the milk in medium heat and melt the fudge. Stir constantly. Pour the caramel over the crust and smooth it with the a spatula. Put the crust in the fridge. 4. Take a bowl, add the cream cheese, sugar and vanilla. Beat them until smooth, remember to scrape the edges. Add the eggs, one at the time. Beat until mixed thoroughly. 5. Take the crust from the fridge, pour the cream cheese batter onto it. 6. Take a oven tray and cover it with baking paper. Then put the form onto it (this helps cleaning up, since the caramel has tendency to leak out of the form in the oven) and bake it until almost set in the middle, for about 45 minutes. If the batter seems too dark, cover it with a baking paper. 7. Cool the cake and refridgerate it for at least four hours, preferably overnight. 8. Remove the spring form. Cover the top with pecan nuts. 9. Take a pan. Pour into it 100 g condensed milk and add 80 g fudge candies. Heat the milk in medium heat and melt the fudge. Stir constantly. 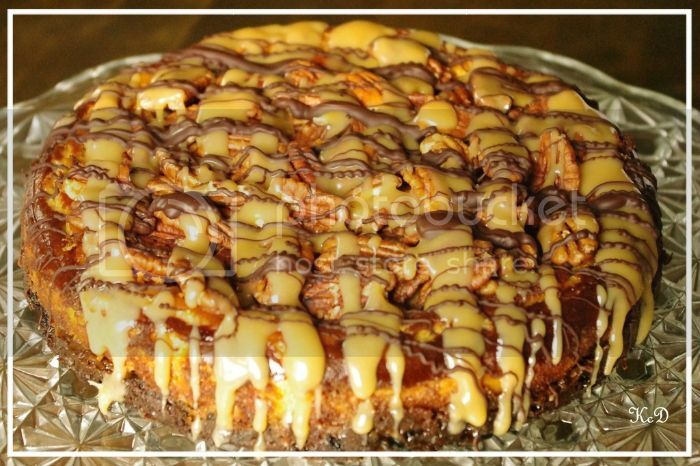 Drizzle the caramel over the pecan nuts. 10. Melt the chocolate and drizzle it on top of the cake. Refridgerate for an hour before serving. This was my introduction to Epic Fail -series and you can definitely read it as a standalone. And as Epic Fail is the name of the band where the main character sings and plays guitar, I expected some rock / music action. There was very little of that, not nearly as much I would have liked to. Epic Love is story of Heath and Noelle, childhood friends. They meet at Heath’s backyard for the first time when they’re both ten years old, and they start to play Wiffle ball together. And throughout the years they friendship developes into first kiss and first love. On the outside everything looks perfect. But below the surface, Noelle’s life is a every day struggle, that she’s never able to tell about, not even to Heath. And those parts are quite distressing to read, to know that in real life too, that is someone’s reality. It broke my heart, how Noelle’s childhood innocence was lost. Heath had his suspicions all along and he wanted to help, but wasn’t able to. He was torn apart by the promise he made to Noelle. And one day she’s gone. Vanished. Though Heath’s life goes on, you can feel his ache. I liked how the book was written in two different times, the present and Noelle’s and Heath’s youth. To me it resembles also the Heath’s inner mess, not being able to let go and move on with his life. I can’t divulge much more without spoiling the story, but after 12 years Heath gets a phone call that’ll change everything. And in that part of the story the past is beautifully entwined with present in a form of a diary. Epic Love is story about ghosts of the past, haunting memories that mess you up, forgiveness and true love. Previous PostTrudy Stiles:Epic Love OUT NOW! Next PostTavi Grace: Plunge COVER REVEAL!